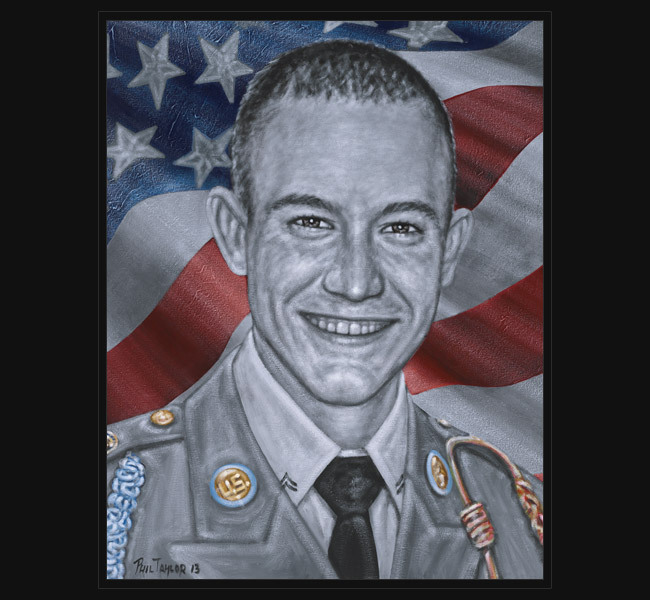 SGT Wesley Durbin died September 14, 2008 at a joint security station in Jurf as Sakhr, Iraq, of wounds sustained when a disgruntled Soldier opened fire on him and another Soldier, Staff Sgt. Darris J. Dawson, who was also killed. He is survived by his wife, Brandi; daughter, Tamara; parents, Randy and Carole; and brother, Kenneth. Wesley Durbin grew up in the Dallas, Texas area and was always involved in may activities. He was known for his beautiful smile, quick wit, genius mind, big hugs, and love for others. He earned many awards such as Cadet of the Year in the Civil Air Patrol and a Black Belt in Tae Kwon Do. In addition, Wesley was active in his church youth groups and loved to play baseball. He graduated from Dallas Lutheran High School as an Honor Student and was awarded scholarships to attend several colleges, but his desire was to join the Marines. Wesley graduated from Marine Boot Camp as a Private First Class in August of 2001. In May of 2004, he was sent on his first tour of duty in Iraq with 1st Battalion, 4th Marines B Company. After Wesley spent 4 years with the Marines, he thought it was time for him to end his military service. But being out a short time, he decided that he really wanted a career in the military. After looking at all branches, he made the decision to reenlist in the Army. SGT Wesley R. Durbin was 26 years old from Hurst, Texas. Original portrait was presented May 25, 2013 to his parents and brother during a special event hosted by the City of Farmers Branch during their Memorial Day Liberty Fest celebration.